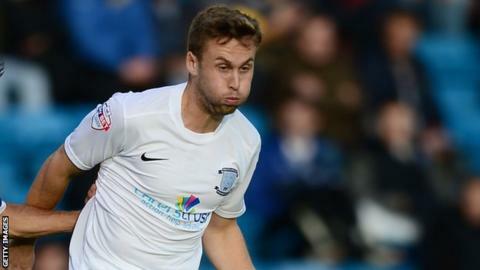 Northampton Town have signed midfielder Joel Byrom on loan from Preston North End until January. The 27-year-old has yet to feature for North End this season and played 14 times for them last term before going out on loan to Oldham. He followed boss Graham Westley to Deepdale from Stevenage in 2012. "Hopefully he can ring experience and quality. He's got a goal in him but he's also a really good footballer," said Cobblers boss Chris Wilder. Northampton have been searching for resources in midfield, with Darren Carter sidelined for the short term and Ian Morris out for the season with a dislocated knee.